Suitable for use in broadcast situations as well as Reality TV, Sports, Racing, and Security applications the Marshall CV345-CS 2,5MP HD/3G-SDI Compact Progressive Camera provides HD video in a small form factor. The camera features a 1/3" CMOS sensor and accepts optional C-mount or CS-mount lenses supporting auto-iris. The camera captures HD video at 1080p 25/30/50/60 fps, 1080i 50/60 as well as 720p 50/60 fps allowing you to easily integrate the camera into an infrastructure that supports progressive frame rates. The camera incorporates one HD/3G-SDI and one HDMI output. With a minimum illumination of 0,2 lux in color or 0,1 lux in black and white mode, the camera can function as a security camera, or be used in teleconferencing in low light situations. It features Digital Wide Dynamic Range, motion detection, and privacy masking, which make this camera a flexible option for capturing intrusions into sensitive areas. The auto white balance functions helps to deliver normal looking video under changing conditions. Menu settings are available via an OSD that is actuated by a button on the back of the camera. 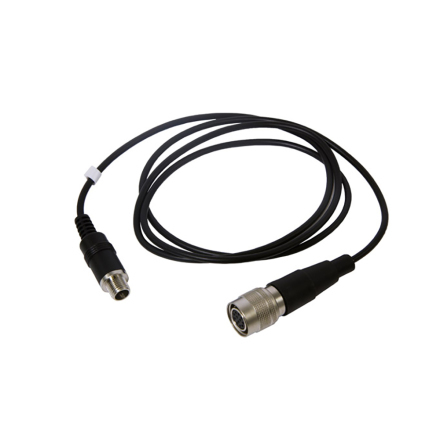 The power cable includes an integrated joystick that allows you to navigate the OSD, it also integrates a TRS connector for audio input and an RS-485 connector for remote control. Marshall Electronics CV345-CS 2.5MP 3G-SDI/HDMI Compact Progressive Camera.